Our onboard high-resolution camera sensor options can capture images of crops in visible light and near infrared wavelengths ranging from 670 to 1100nm. The infrared imagery is particularly useful for generating Normalized Difference Vegetation Indices (NDVI’s) of crop fields, which show differences between healthy and stressed vegetation based on their reflectance in the near infrared. We help farmers and agronomists gather timely insights on crop health and field conditions. 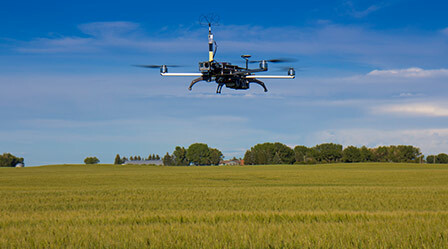 The ability to inspect and monitor crops during the growing season in order to make timely, cost saving production decisions has become one of the primary uses of drone technologies in agriculture today. 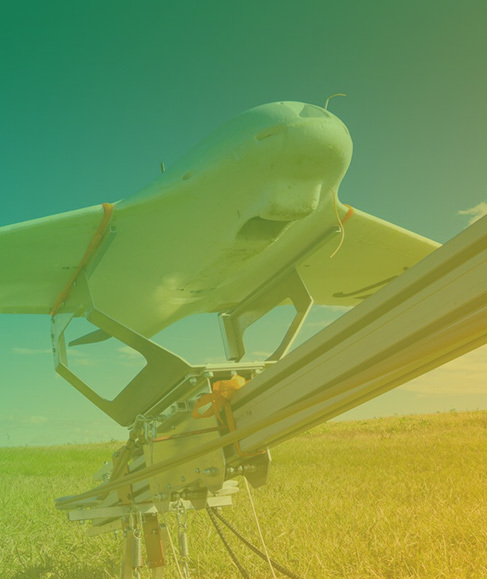 JZAerial Inc. provides in-season real time aerial field data collection and image processing services to help farmers and agronomists gather timely insights on crop health and field conditions. Imagine us collecting high detail aerial imagery of your crop in the morning and getting the fully georeferenced orthomap of the field sent to your mobile device or tablet for your inspection by lunchtime! That’s time and money saved! 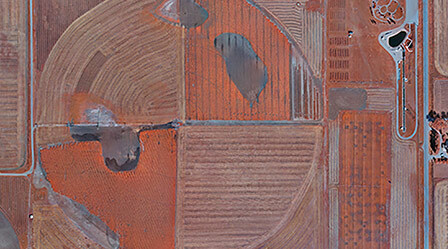 In no rush to receive your field imagery right away? Our goal is to have the viewing-ready imagery delivered within 24 hours of data collection to ensure that our clients can make time sensitive crop or field management decisions based on the most current crop and field conditions possible. 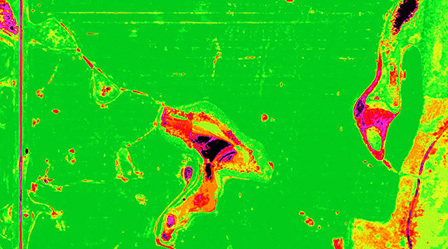 Aerial field data collections can be made as often as required (monthly, weekly, even daily if required). These are 3-band – RGB orthomaps available at Ground Sample Distance of 5-20cm/px, as required. Our orthomaps are supplied in file formats compatible with most agricultural data management packages (e.g. FarmWorks, SMS, or SST) for immediate analyses, and can be further processed into various other models such as digital elevation and surface models, flood/drainage maps, and more. These are 3-band – NIRGB orthomaps available at Ground Sample Distance of 5-20cm/px, as required. Our orthomaps are supplied in file formats compatible with most agricultural data management packages (e.g. FarmWorks, SMS, or SST) for immediate analyses, and can be further processed into Normalized Difference Vegetation Index (NDVI) maps and Management Zone Maps (see below for details). 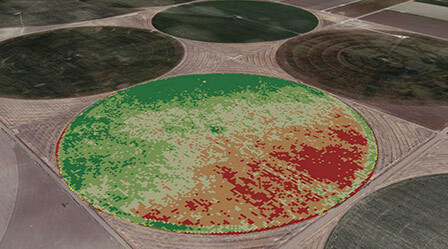 NDVI maps, generated from the NIR orthomaps, are color-coded maps that show relative crop conditions within a field. They can distinguish healthy areas from those that require attention and	show exactly how many acres are affected, enabling farmers to see exactly where to make timely production adjustments during the growing season. With our valued partners at Agribotix, we can apply the NDVI	maps to generate Management Zone Maps of the fields in SHP vector file formats compatible with most agricultural data management packages (e.g. FarmWorks, SMS, or SST). The zone maps can then be used to prepare accurate prescription maps for variable rate applications. 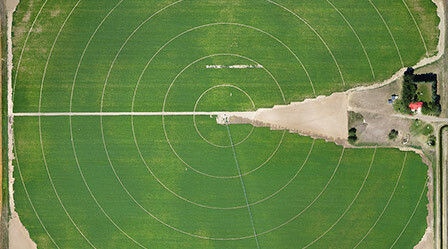 We also offer custom services including area and volumetric calculations from the aerial imagery, and ad hoc aerial spot inspections of crops, including HD aerial video flyovers.